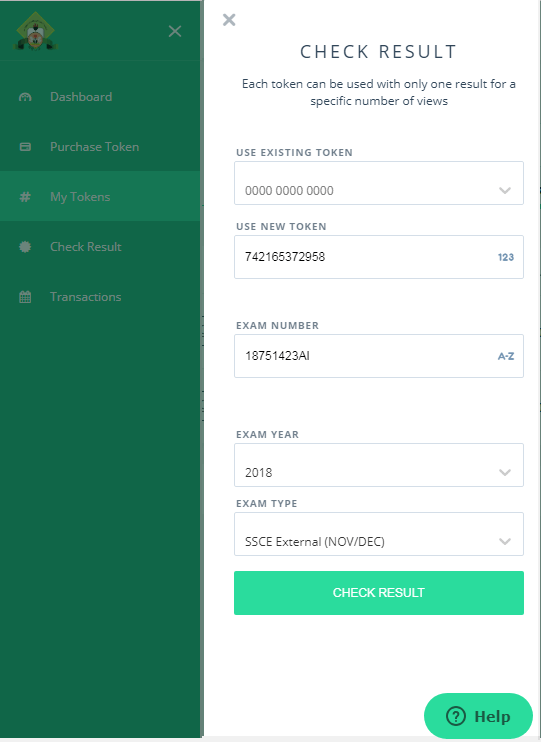 What is NECO Result Checker Token? 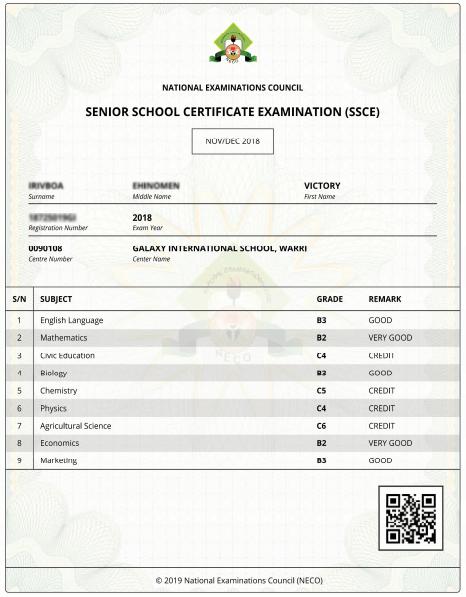 NECO Result Checker token also know as NECO result token, is a 12 digits numerical pin, used to check the following examination result online, starting from the year 2018. SSCE Internal, Jun/July SSCE External Nov/Dec National Common Entrance Examination Basic Education Certification Examination. NECO is an abbreviation for National Examination Council, the body responsible for the conduct of Senior Secondary Certificate Examination and the General Certificate in Education in June/July and December/January respectively in Nigeria. How to Check NECO Result Online using Token. By the way, speaking about how much it cost and our selling price, you will need to pay only N1000. Quite affordable, isn’t it? In addition to this, we will show you step by step procedure on how you can check your neco result yourself after purchasing it from us, if you already have the pin, you can still make use of the link. There are several advantages of purchasing NECO Result Checker Token from us, here we list out, the top 5 benefit why you should buy from us. 1. The foremost reason is that we are trustworthy and reliable. 2. We deliver your neco token pin on time, Maximum of 30 minutes after confirmation of payment. 3. One of the most important reason to purchase online from us, is that you do not need to travel. distances looking for NECO office, just pay to our account and get the token pin deliver to you by SMS (Text Message) or if you are using whatsapp, will screenshot it for you. 4. Another reason is that we provide full assistance – we can assist you in checking it. 5. Last but not the least, we have the best price. After payment of the said amount (N1000) into any of the Bank account I will send to you on request. Send an sms in this format stated below to this mobile/whatsapp number 08051311885. • Depositor Name (your full name) • Teller no or snap proof of transfer • Email address: • Services Paid for: ATM, Mobile and Online Money transfer also accepted. 4. Click on the link Check Result. 5. Type in the 12 digit neco token. 7. Select the year result you want to check from the drop-down menu. 8. Select the exam type you want to check from the drop-down menu. 9. Click on check Result. No. A token can only be used to check just one result for a given registration number, you can not used it to check result for more than two registration number. A token, can used to check result for a given registration number five times, after that, that said token will be exhausted and you have to purchase a new one, to recheck that result for that same registration number.